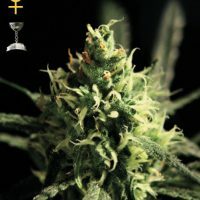 Auto Seeds Diesel Berry produce a Medium sized cannabis plant with a High (15-20%) THC content, Autoflowering genetics and a flowering time of 9-11 weeks from seed. 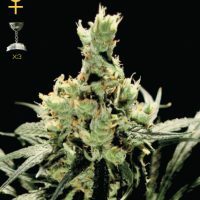 Diesel Berry has a genetic makeup of BerryRyder x NYCD and has an effect described by the breeder as ‘Intense cerebral buzz’. 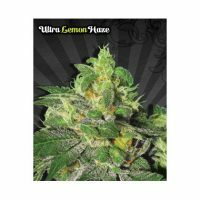 Buy Auto Seeds Diesel Berry at the lowest price online now! Diesel Berry is a cross of our ever popular Berry Ryder and the multi award winning classic NYC Diesel. The result is a potent and fruity strain harnessing the best characteristics of both varieties. The combination of Berry Ryder’s exotic, fruity taste and the heavy diesel fuel tang from the NYC Diesel make for the perfect smoking experience. The high is a strong head rush moving to a deep indica body buzz, underlining its wide range of medicinal qualities. Diesel Berry has both indica and sativa properties. It’s quite tall for an auto, indoors 70-90cm if left untrained and outdoors it can reach up to 120cm. 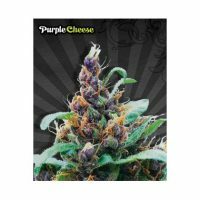 The buds will be thick, dense and rock hard, with high levels of THC for an autoflowering strain. The height and dense bud structure mean the overall yield is very good giving up to 350g/m2 indoors. Outdoors, it’s suitable for almost all climates although it will thrive in warmer latitudes with higher levels of sunlight. Diesel Berry is easy to cultivate offering both beginner and experienced growers the opportunity to grow a tasty yet potent, connoisseur strain in around 65-75 days from seed.